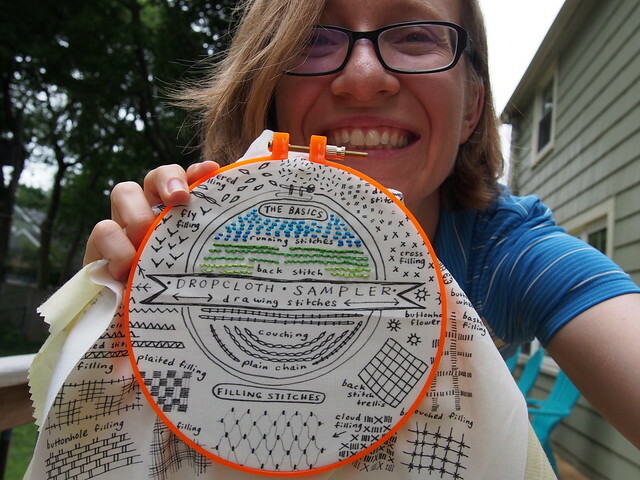 I’ve been wanting to seriously learn about embroidery for over a decade, and when I saw the Dropcloth Samplers and the class that Rebecca Ringquist is doing on Creativebug, I decided that this would be the summer. 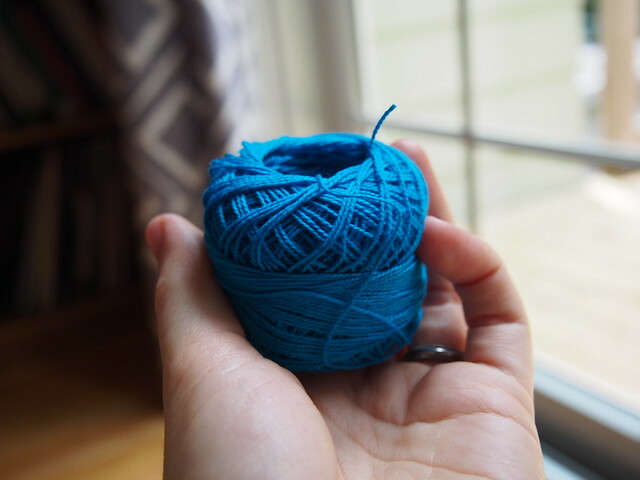 I’m using perle cotton, which I learned about from the Creativebug class – I found a set of rainbow colors on Amazon and decided to start with my favorite, the blues. I’m pretty unreasonably delighted with my little stitches – of course running stitch is basically the easiest thing ever, but hey, I did it! I just liked how it looked in our round window! So far, on my first day, I’ve learned the running stitch and the backstitch. 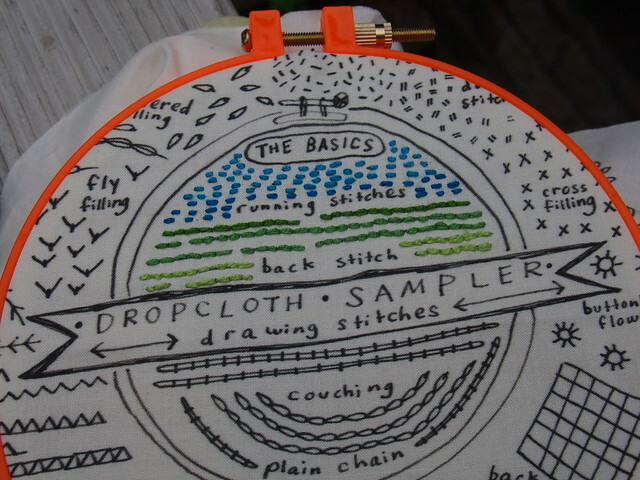 I’m looking forwarding to learning about couching and plain chain stitch tomorrow! My real goal, in the end, is to learn enough about embroidery that I can start making my own designs. 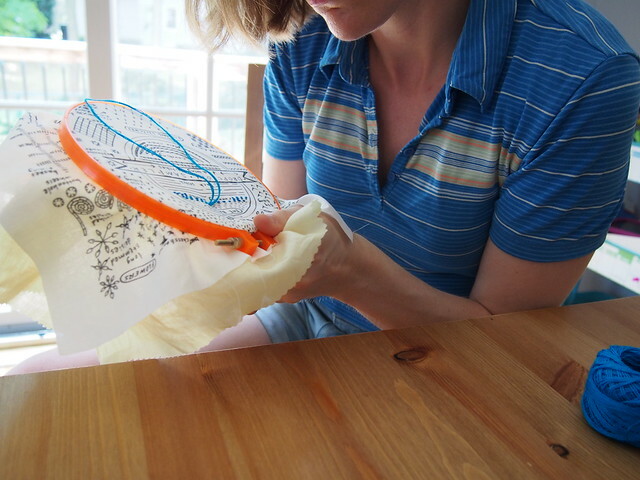 Ever since I was a baby cognitive scientist, I’ve wanted to embroider synapse diagrams, and neurons, and cells in general…I just find them so beautiful, and to me the diagrams that were in my textbooks already kind of look like embroidery charts. I want rainbow-colored synapses to hang on my wall! But first…more learning! I fully support the idea of you making neuron patterns. I’m sure I could find an opportunity to embroider one for my own brain scientist brother! I picked up embroidery in December 2016 and it has become my second love after knitting. 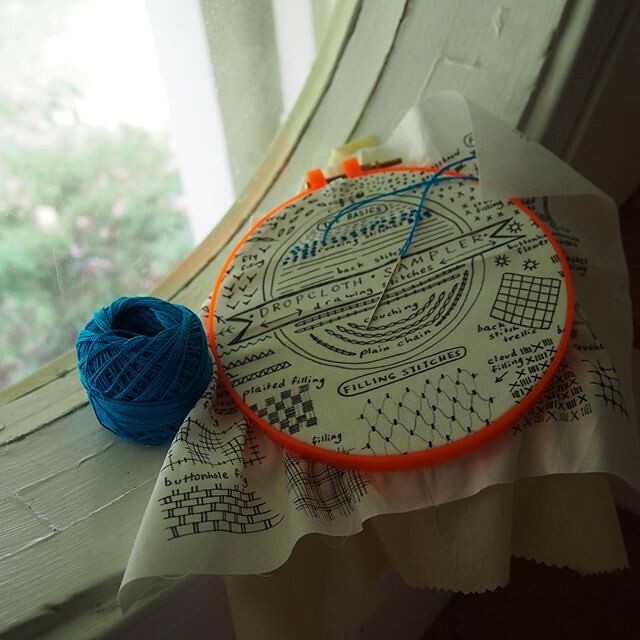 Check out CozyBlue – she has a reasonably priced monthly embroidery club and her designs are always fun! It’s fun to follow along with the club on IG and see how other people are stitching out her design! She also sells pre-printed designs on fabric and includes great tips in her newsletters!